Once the counter has been erected, you simply open up the housing and slip your iPad into the void. The returned housing will offer a snug fit until you wish to remove the device. 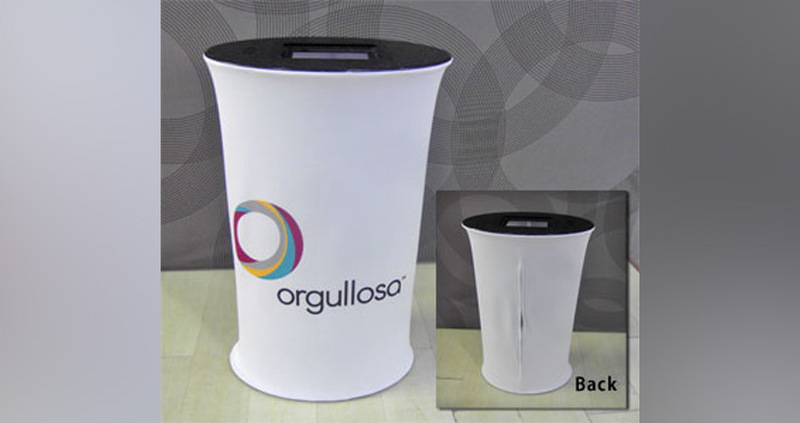 To ensure that charging cords aren’t in the way, they are hidden away inside the counter. 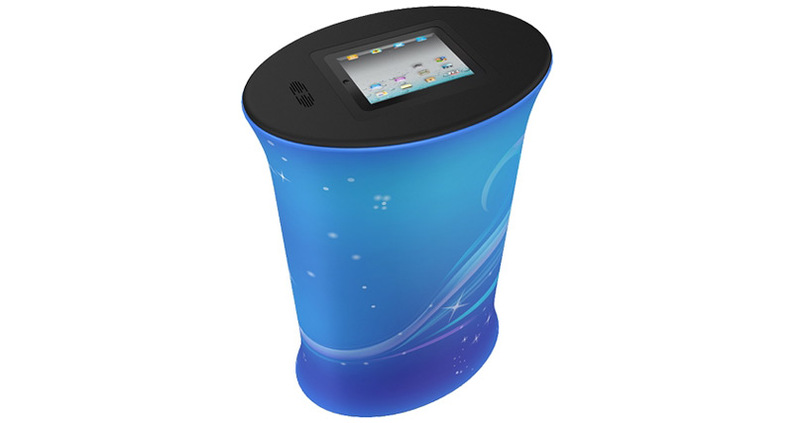 Our iPad display stands also come with a soft moulded case that measures 63cm x 43cm x 13cm. This makes transporting the counter between locations easier than ever. 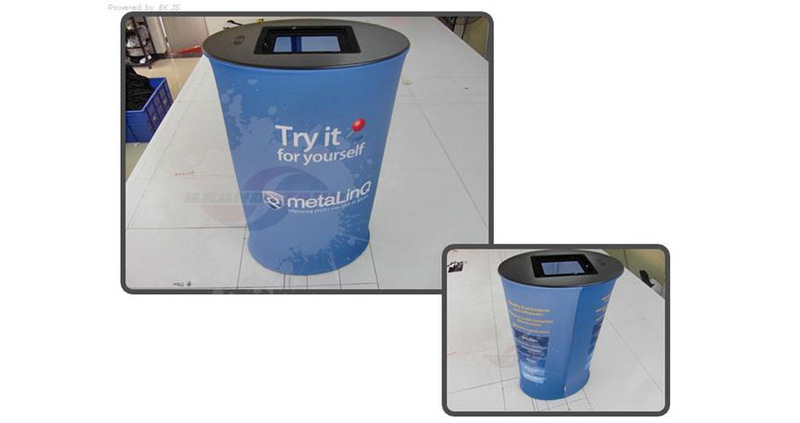 You will receive a custom branded high resolution digital print fabric graphic with your iPad display stand, which is stretched tightly over the frame in much the same way that it is on the WaveWall counter. What generation iPads can the counter house? 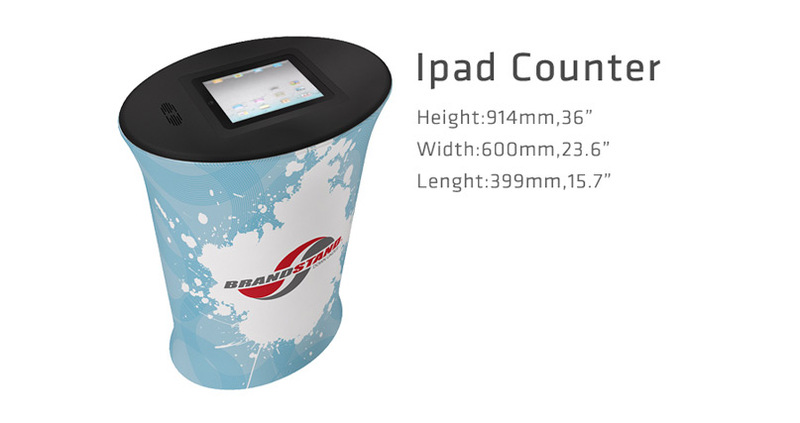 The counter will house the current model iPad (regular size) and iPad Air. Yes there is an integrated speaker with the counter. What keeps the housing in place and prevents tampering? There’s a bezel over the iPad, holding it in place.